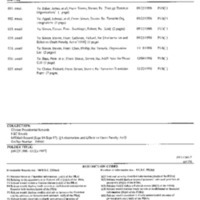 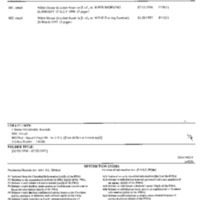 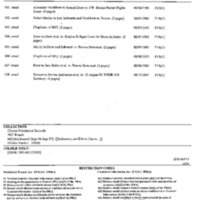 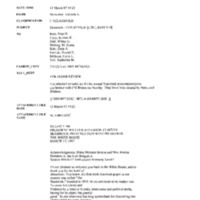 Creator is exactly "NSC Emails"
This Mandatory Declassification Review contains material on Amy Biehl, an American Fulbright Scholar killed in South Africa in 1993. 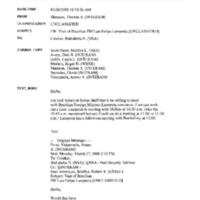 Materials include Department of State cables and NSC emails primarily concerning South African politics and human rights abuses, with mention of Ms. Biehl's murder. 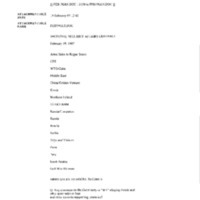 This Mandatory Declassification Review contains National Security Council email regarding U.S. support for Asian economies from January 1998. 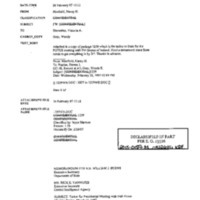 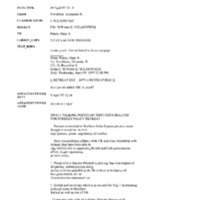 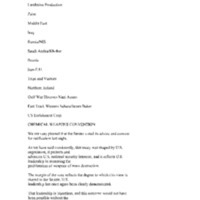 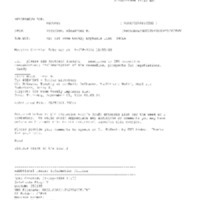 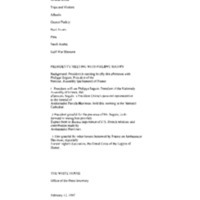 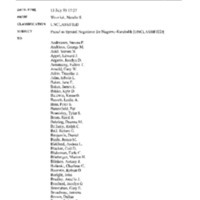 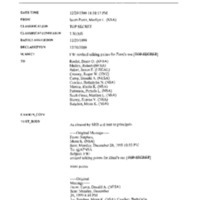 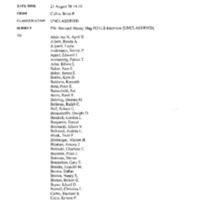 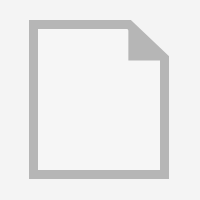 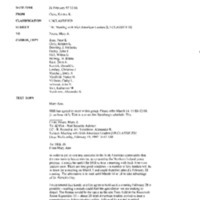 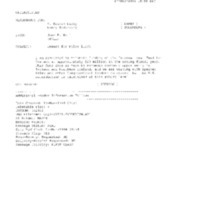 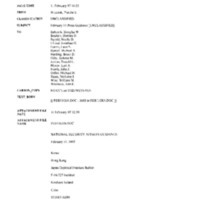 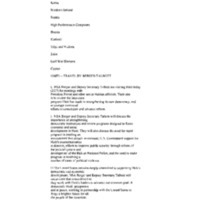 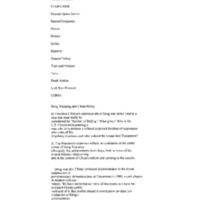 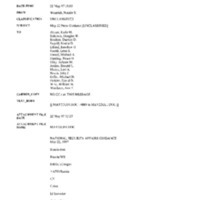 This Mandatory Declassification Review contains National Security Council email regarding U.S. support for Asian economies from December 1997 through January 1998. 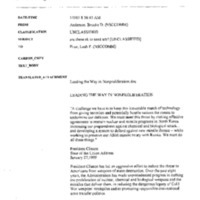 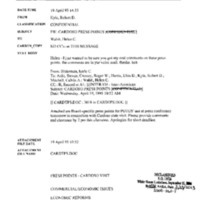 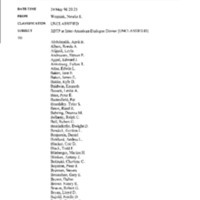 This Mandatory Declassification Review contains a paper created for Secretary of State Warren Christopher, Secretary of Defense William Perry, and National Security Advisor Anthony Lake entitled “NATO Enlargement Game Plan: June 96 to June 97”. 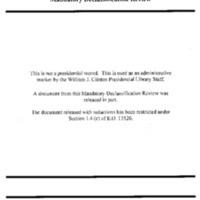 This Mandatory Declassification Review contains the memorandum of the telephone conversation (telcon) between President Clinton and Polish President Lech Walesa from November 21, 1995. 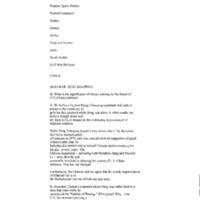 The two leaders spoke about the results of the Polish Presidential Election. 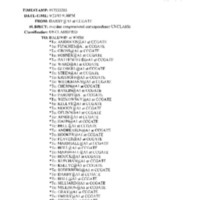 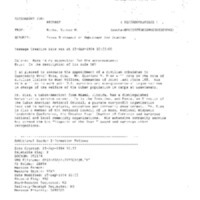 This Mandatory Declassification Review contains material on the Iridium satellite communication system. 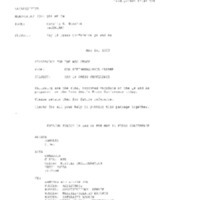 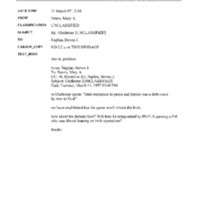 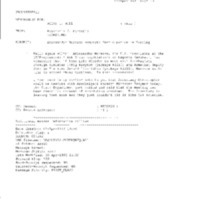 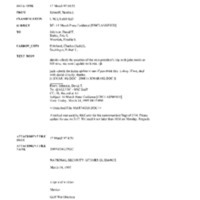 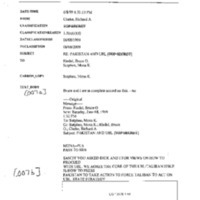 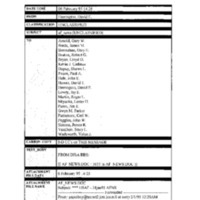 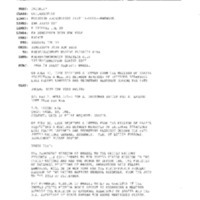 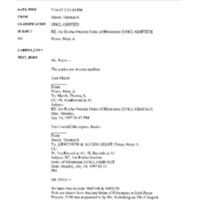 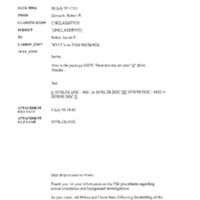 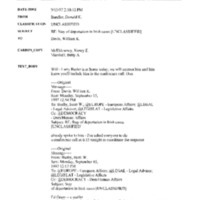 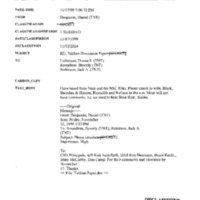 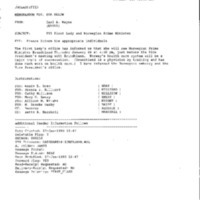 Materials include a May 6, 1999 National Security Council email from Steven Black to Betsy Pimentel. 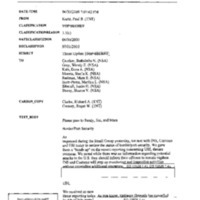 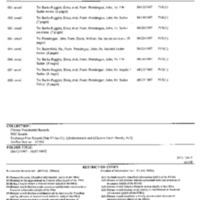 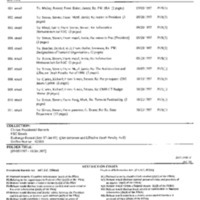 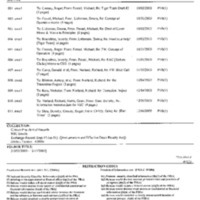 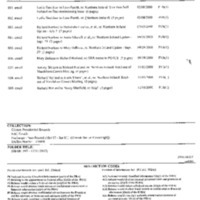 This Mandatory Declassification Review contains material referenced in Chapter 4 of The 9/11 Commission Report, "Responses to Al Qaeda's Initial Assaults". 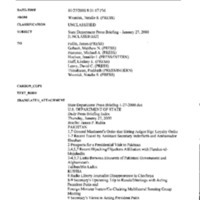 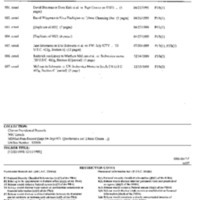 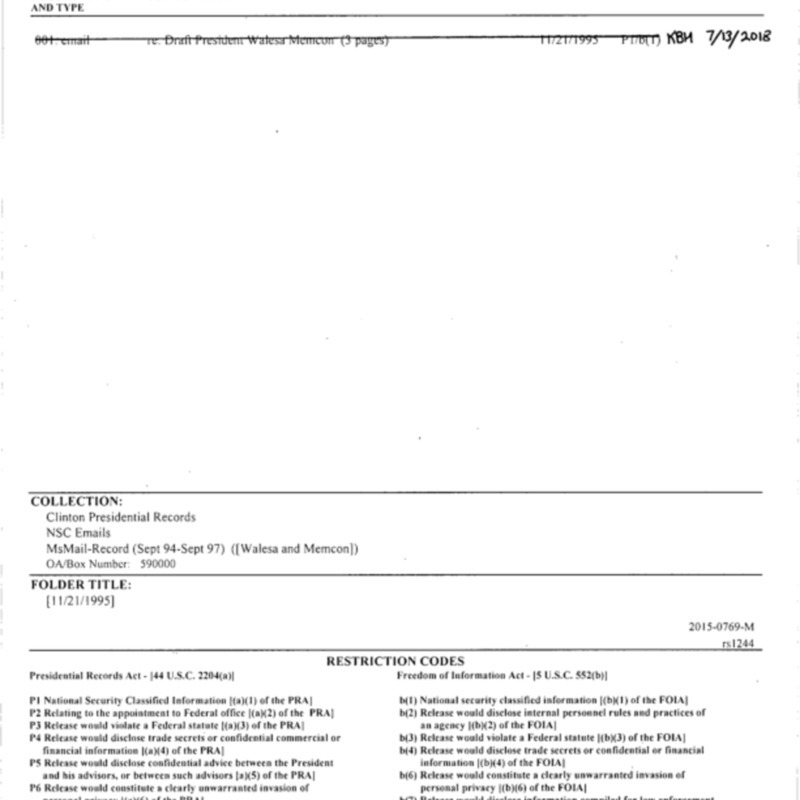 Materials include a memorandum to the President and two National Security Council emails regarding Usama bin Ladin. This Mandatory Declassification Review contains material on the Northern Ireland Peace Process. 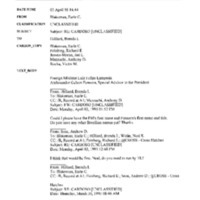 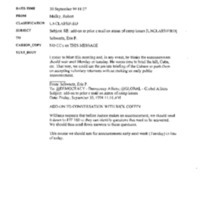 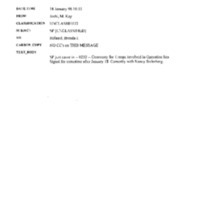 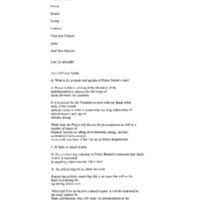 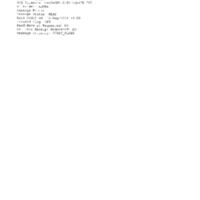 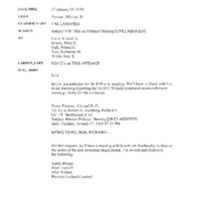 Materials include emails transmitting a tasking memorandum for the President's meeting with Irish Prime Minister Bruton. 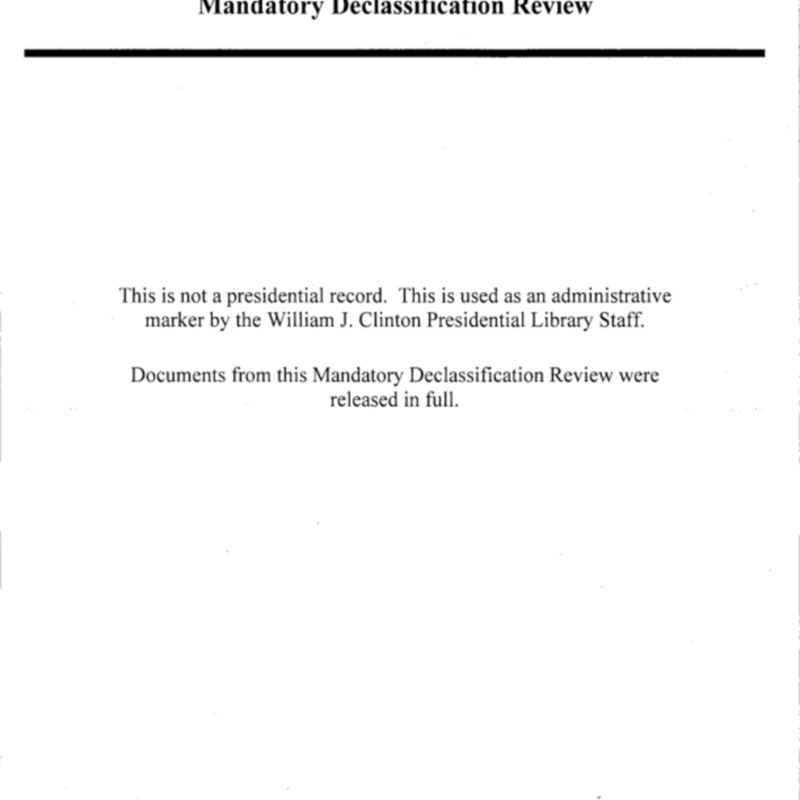 This Mandatory Declassification Review contains material on documents referenced in Chapter 11 of the 9/11 Commission Report. 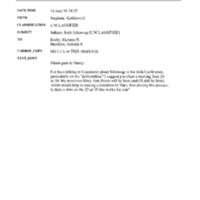 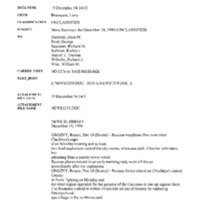 Included is an email from a National Security Council staffer, providing a threat update. 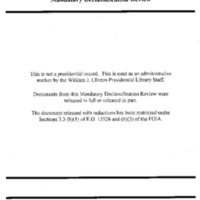 This Mandatory Declassification Review contains material on documents referenced in Chapter 6 of the 9/11 Commission Report. 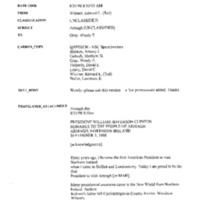 Included are National Security Council email regarding strategy in dealing with Usama bin Ladin, al Qaeda, and the Taliban. This Mandatory Declassification Review contains material on documents referenced in Chapter 4 of the 9/11 Commission Report. 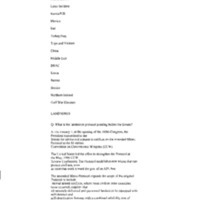 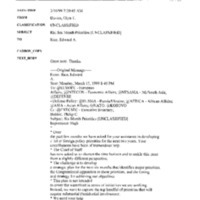 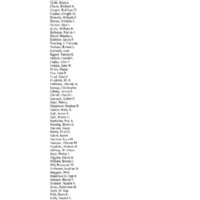 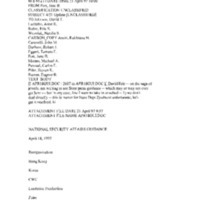 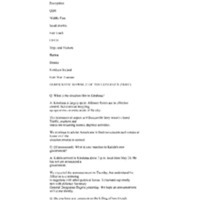 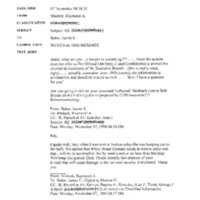 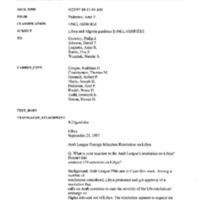 Included are emails from National Security Council staffers regarding Usama bin Ladin. 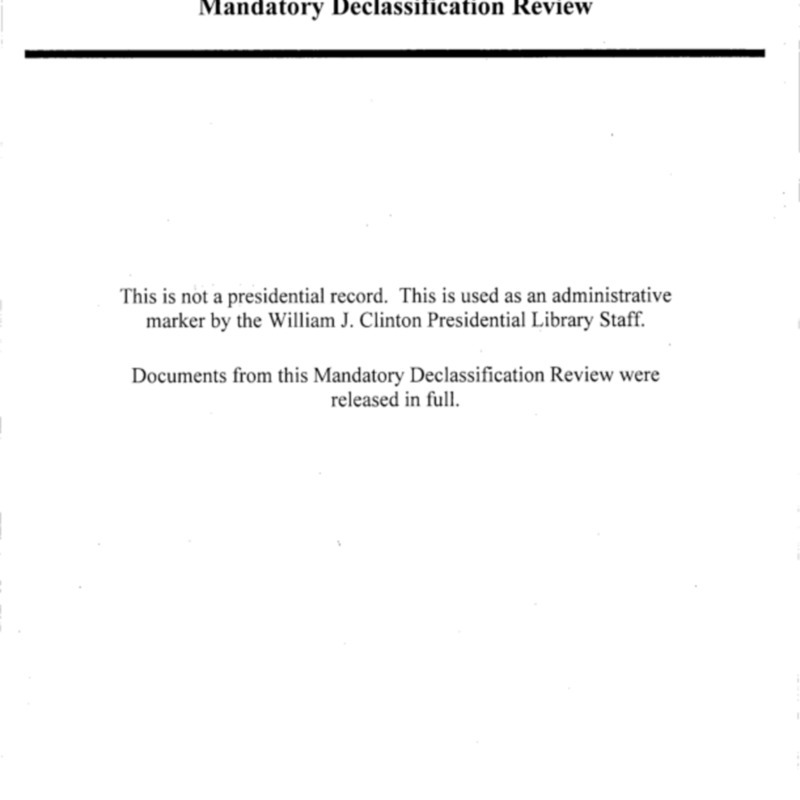 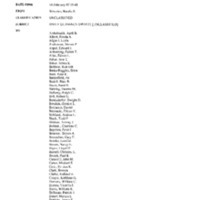 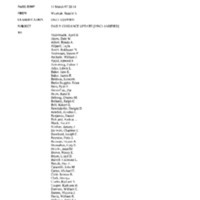 This Mandatory Declassification Review contains material on Principals Committee (PC) and Deputies Committee (DC) meetings on Usama bin Ladin, the Taliban, or Afghanistan. 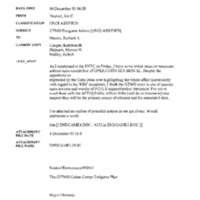 Material includes a November 1999 email between NSC Transnational Threats directorate staffers, regarding an upcoming PC meeting.